We have 12 studios, most contain one double bed, some offer separate beds, and our larger studios comfortably accommodate up to 4 people. All rooms include a private bath, air conditioner, TV, telephone, coffee maker and many include a kitchenette and fireplace. The Bishop Suite is a quiet, split three level apartment. The sleeping loft has a double bed and TV; the living room has a pull-out sofa, TV, and fireplace. This suite has a private bathroom with hairdryer, and kitchen with microwave oven and coffee maker. The Garden Suite is a studio with a double bed, TV, fireplace, private bathroom with hair dryer, and kitchen with microwave oven and coffee maker. Guests in this room have sole access to Incentra's private little garden, with a weeping willow tree, potted plants, and flowers. We have a two or three night minimum stay for some busy weekends. If your stay includes a Friday, Saturday, or Sunday night, your reservation must be a minimum of three nights. Incentra Village Hotel is an exclusive property where every guest reservation is both important and special to us. An advanced payment of one nights stay plus tax is taken upon reservation. If your travel plans change and you must cancel your reservation, please notify us at least seven (7) days to your arrival date to cancel your reservation less a $35 processing fee. In the unlikely event that you must cancel with less than 7 (seven) days notice, shorten your stay or check out early, please understand that we must ask you to take responsibility for your entire reservation. Rates/policies are subject to change and vary during high impact periods and special requests. If arriving past 11:30 pm, please call to make arrangements. We have a guest computer for use for free in our parlor and free Wireless reception that reaches all rooms. We have hairdryers, irons and ironing boards in all rooms. We are a No Smoking Hotel. Pets are prohibited. Although we do love children, we are an adult Guest House and cannot accommodate children under 10 years old. Incentra Village Hotel is located at 32 Eighth Avenue, between West 12th Street and Jane Street. "Great location, charming room and really helpful and nice staff. As soon as we come back to NYC we will return for sure. Thank you guys for making our first time in New York a beat more unforgettable"
We have a great supply of newspapers, magazines, and books to leisurely enjoy in our parlor. 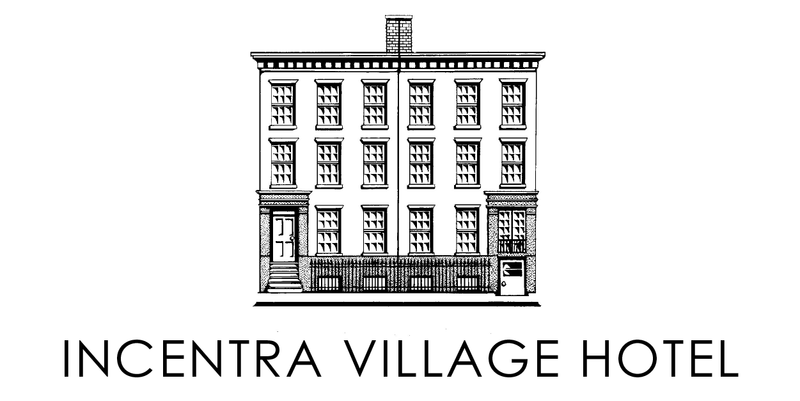 The Incentra Village Hotel is centrally located in a pleasant and attractive residential neighborhood in West Village, the traditional center of gay life in New York City. Take a step back in time in our Historic District Inn featuring furnishings and artwork from eras gone by. You'll feel right at home in our comfortable unique rooms and suites. Take a gander down our narrow halls and then up charming old stairways to one of our 12 unique guest accommodations.